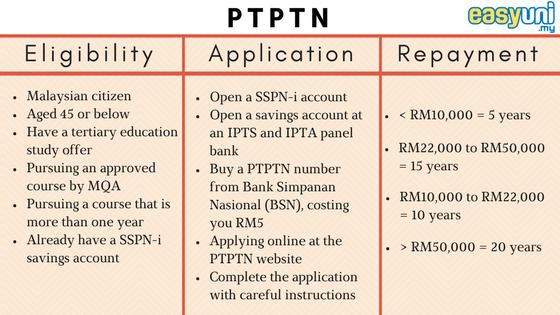 The top 4 loans available to prospective students are PTPTN, KOJADI, MARA and MIED, with an addition of a top-up loan scheme called SPP1M. 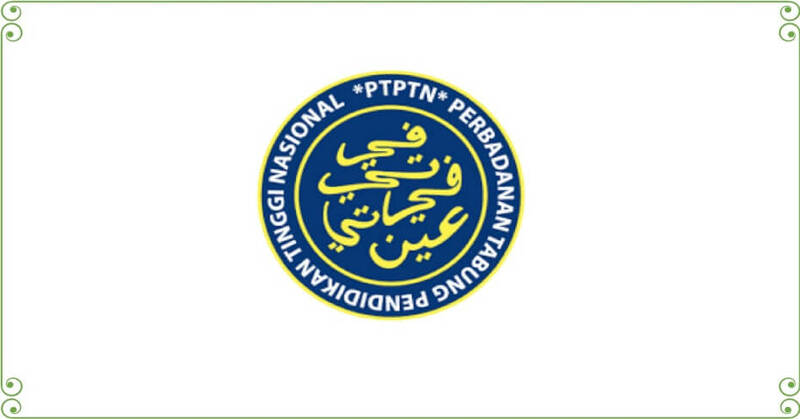 PTPTN was established under the National Higher Education Fund Corporation Act 1997 to provide and manage education saving schemes for students aiming for higher education studies including Diplomas, Advanced Diplomas, First Degrees, Master’s Degrees, PhDs and other professional courses. This loan scheme covers a wide range of courses but does not cover private pre-university courses such as MUFY, AUSMATS, A-Levels, and various Matriculations studies. Additionally, if students are able to achieve a First Class Honors and a CGPA of 3.70, the loan will directly be converted into a scholarship! If not, repayments are expected 6 months after graduation with a flat rate interest of 1%. 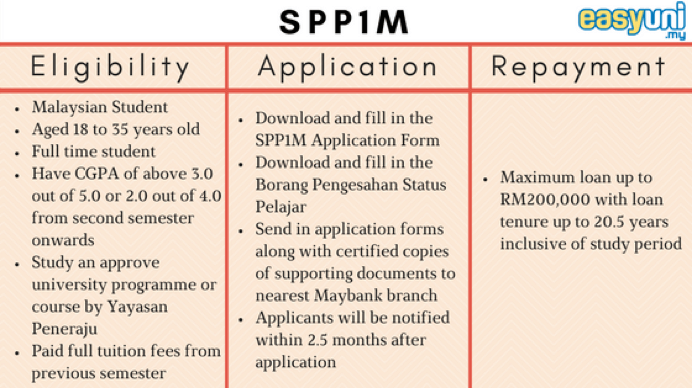 Amount of loans that can be applied for are RM10,000, RM15,000, RM20,000, RM25,000, RM 30,000 and RM35,000. 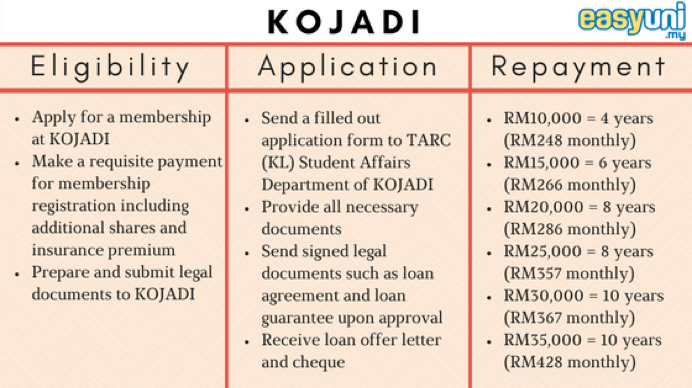 New members of KOJADI will get an interest rate of 6.8% on the first year and 7.8% on the second year onward for new members of KOJADI. 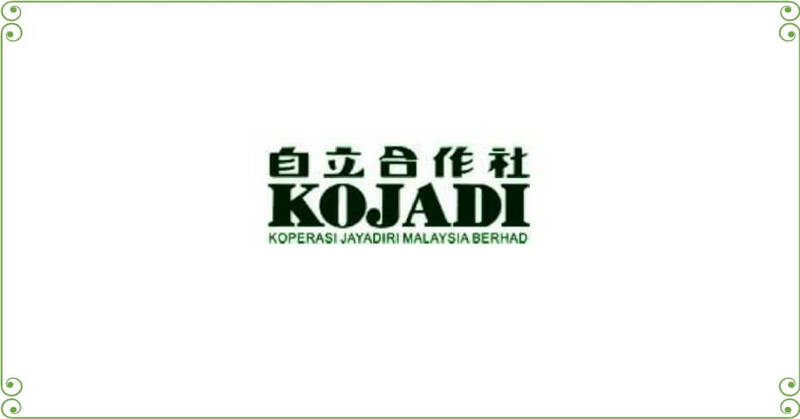 Existing members of KOJADI with a minimum of 5 years membership will get an interest rate of 5.8% on the first year and 6.8% on the second year onwards. Repayments are expected to commence on the 4th month after students have completed their studies. Before that, loan interest up to 4 months during the study period will also be waived if repayments are done at the time. The tentative monthly repayments amount depends on how much an individual has borrowed, as shown in the infographic above. Through collaboration between Maybank and Yayasan Peneraju, SPP1M is designed to provide financial aid to benefit Malaysian students who are pursuing a Bachelor of Master’s Degree in local private or public universities. 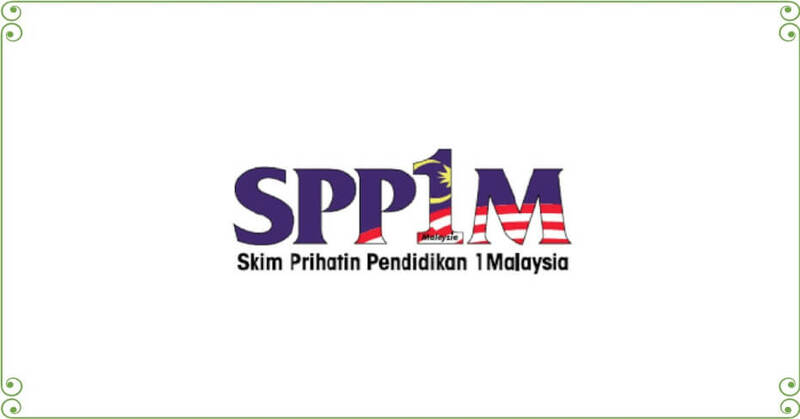 SPP1M acts as a top-up education loan scheme, to further help students reach their education goals! With a maximum loan up to RM200,000, students can study their most interested courses and build a career of passion for themselves. Repayment of loans starts upon employment of 6 months after completion of study. 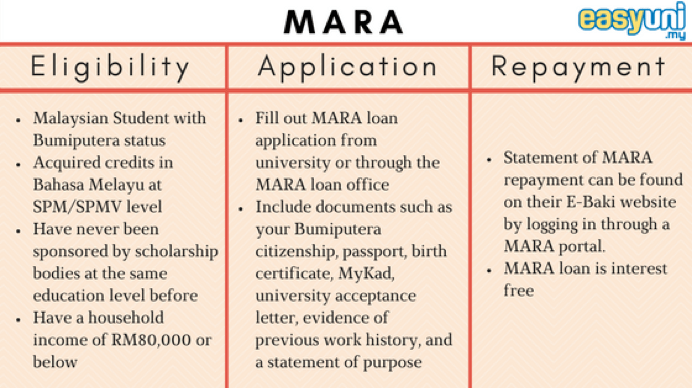 Once your application is made, the allowance eligible will be stated on the offer letter given by MARA. Monthly allowance can range between RM500 to RM700 based on family income. Upon completion of study, students may convert their full loans into a scholarship with a 75% discount based on an academic excellence by maintaining a CGPA of 2.75 or above. 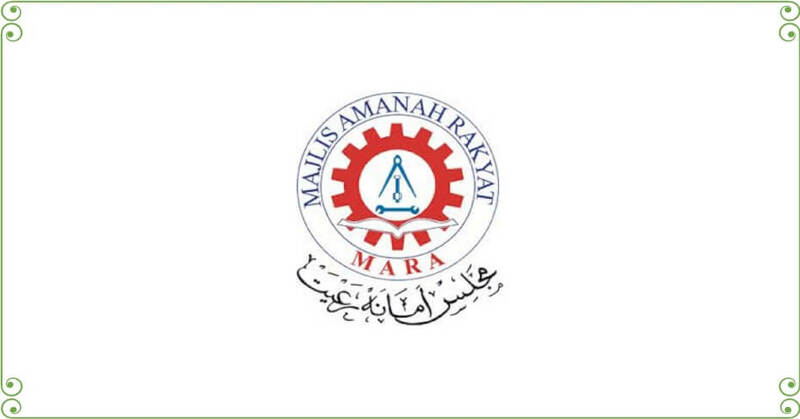 Students will need to submit a few documents including a copy of the degree, copies of transcript for all semesters and a copy of their identity card to MARA to convert their loan. Started in 1984, MIED has since provided and supported students in need to assist them in their dream to pursue a higher education. 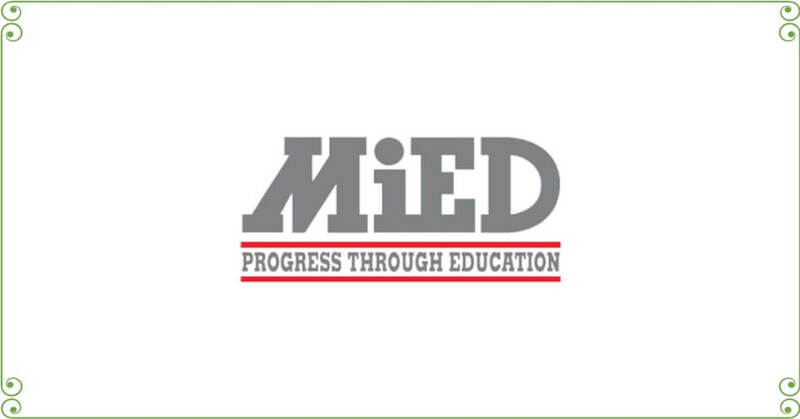 Today, MIED is one of the most trusted provider of study loans to the members of Malaysian Indian community. 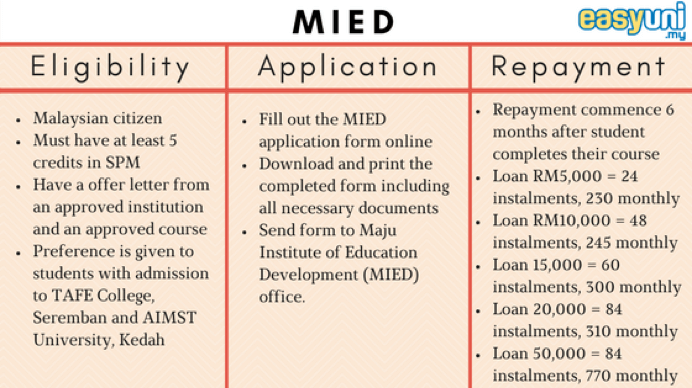 MIED offers a maximum of RM50,000 study loans to recognized universities in the public higher education institutions (IPTA), private higher education institutions (IPTS), and overseas or foreign universities recognized by Jabatan Perkhidmatan Awam (JPA). These loans will cover part of an individual’s tuition fees and will be paid directly to the institutions. Shortlisted candidates for the MIED student loan will be expected to attend a selection interview at the MIED office after an arranged date and time. Repayments will also be expected 6 months from the time of completion of studies with an imposed 4% per annum administrative charge. Or, make your life easier by applying for the best personal loan from us here for your children’s or your education! EasyUni is the leading online destination for finding your dream University or College. We help students to search, compare, shortlist, and apply to Universities and Colleges around the world. EasyUni is aimed to make the process of choosing and applying to University and College easy for the potential students. Students can search, compare, shortlist and APPLY to universities and find more information about institutions through reviews, photos, videos, as well as read find useful advice, scholarships and information on studying abroad.